What are witches like? They are people too, like you and me, but they may be more aware spiritually and connected with nature and its creatures. Pantheistic, or mindful of every creature as being a manifestation of God. Highly in touch with the Earth's rhythms and cycles, with the five elements, and the ever-turning wheel of life as birth, maturity and death. In affinity with the Moon, which represents the Mother, Maiden and Crone in her various phases and whose presence at night empowers plants and herbs with healing properties. Most Craft followers maintain a low profile. They do not try to convert or convince anyone to become like them and join them. They are quiet and solitary most of the time, practicing the Craft as unobtrusively to society as they are able to. But make no mistake about it: these not-really-old-and-ugly hags are happy and bubbly, or why else would they love to cackle? ;-) They might like to wear black for certain rituals, but they are far from the somber, vengeful image that history loves to paint. 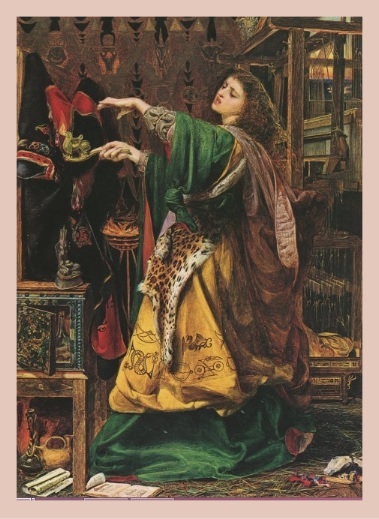 Ultimately, she is the age-old symbol of sacred, hidden spirituality, the human bridge between the natural and the unnatural, as well as possessor of balance and power. The wise-woman (or wise-man) considers all things on earth as coming from God and bearing God in its forms. Therefore everything, animate or inanimate, deserves respect and is sacred. I hope this will erase some people's notion that followers of the "craft of the Wise" are evil to the core. The Romans and early Christians were experts at smear campaigns and propaganda against seers/seeresses and prophets/prophetesses, who lived in Greek territories. The early Christians wanted to convert as many people as possible to Christianity, establish their Church, and rule as many people through it to preserve Rome's ascendancy. They certainly did a thorough job in obliterating the once pristine status and normality of a wise-woman and seer. Nevertheless, religious biases are fading and today we are seeing a gradual return to the old, nature-centered ways. 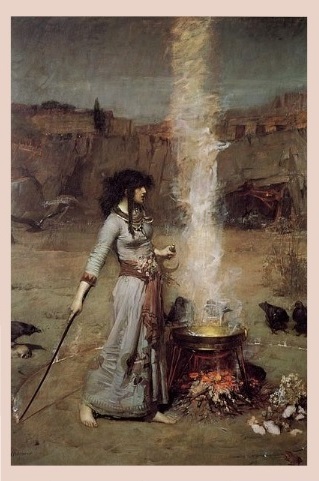 I encourage you to read about Wicca, Craft traditions and the origins of witchcraft. These topics are quite hot nowadays:-) You can go back to the Witchcraft Symbols page here. OR return from the Witches page to the Symbolisms homepage. 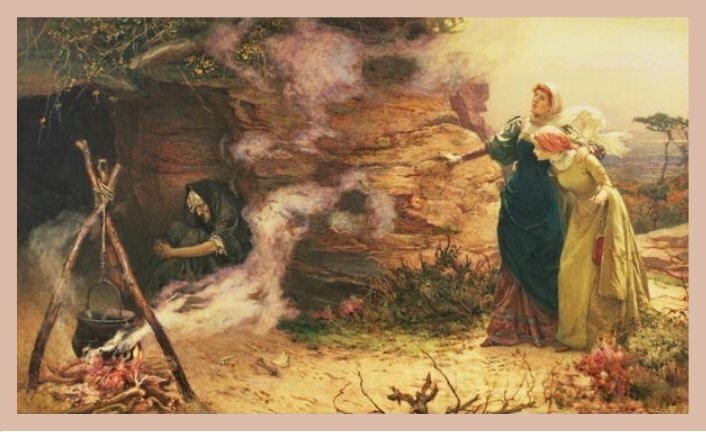 *Images on this page (top to bottom): A Visit to the Witch by Edward Frederick Brewtnall, 1882, The Magic Circle by John William Waterhouse, 1886, and Morgan Le Fay by Frederick Sandys, 1864.